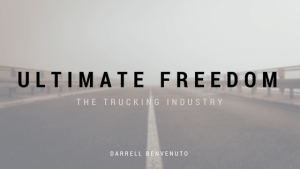 Darrell Benventuo talks about the importance of the trucking industry. Trucks are so commonplace on America’s roads that we hardly give big rigs and semi-trucks a second thought when we see them on our highways. But if you take the time to dig a little bit deeper into how consumer goods, food, building materials, and oil are transported across the country, you realize just how important the trucking industry is to the United States. 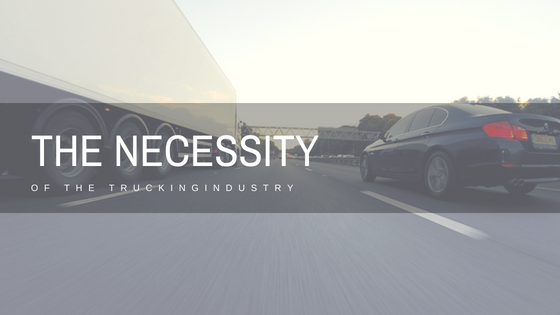 To put things simply, almost all areas of the economy rely on trucking for transportation purposes. Think about it — in the manufacturing sector, semi-trucks deliver raw materials and goods directly to factories. When the factories develop their finished products, they send their goods out to retailers and shops on their own semi-trucks. As you can see, trucks are critical to every facet of the manufacturing economy in the United States. This same idea extends to other areas of the economy as well. For example, in agriculture, pesticide companies ship their chemicals to farmers in trucks. When the farmers have finished growing their crops for the season, they’ll send them to grocers around the country in refrigerated big rigs. If you’ve been listening to the radio lately, you’ve no doubt heard a local or regional trucking company advertising that they’re looking to bring on entry-level CDL drivers for immediate hire. These days, many companies will even hire men and women without licenses so they can train and certify their new drivers before deploying them on various routes. Another reason why the trucking industry is so important to America is that trucking companies hire people from all different walks of life. More specifically, trucking outfits hire disabled drivers, military veterans, high school graduates, college degree holders, men, women, young people, middle-aged folks seeking a career change, and people from all ethnicities, religious, and racial backgrounds. The trucking industry not only helps American industries run, but also supports the dreams and livelihoods of all different types of people. Experts estimate the trucking industry employs more than 800,000 truck drivers in the United States, and pays out more than $30 billion in salary on an annual basis. And with so many trucking businesses hiring, there could be over 1,000,000 truckers on American roads in the coming years, making trucking one of the most robust industries in the country.